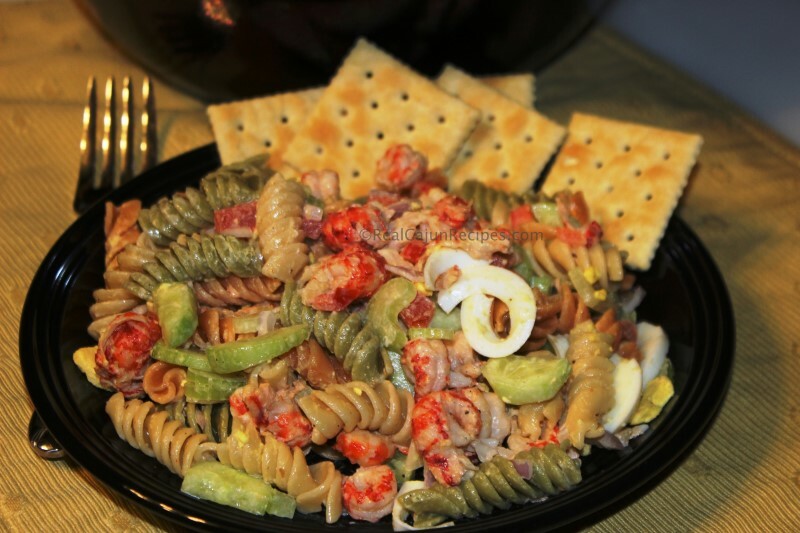 Cold or warm, full flavored mixture of pasta, veggies and spicy crawfish; great for Sunday dinner or family gatherings and spring picnics. Boil pasta in salted water according to package directions and rinse. Cool. In a separate pot, place the crawfish and liquid boil in salt water and bring to boil until crawfish is cooked about 5 minutes. Cool. Chop eggs. Peel and cube cucumbers. Mix pasta, crawfish and other ingredients in large bowl; season tp tastel. Add 1/2 cup more or less mayonnaise and mix well. Goes really well with saltine crackers or your cracker of choice. You may chill this salad.